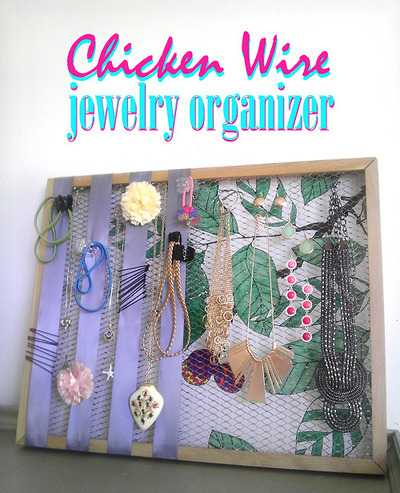 Wrangle Your Accessories – Hen House Style! First, take your fabric and color with fun. Then, not forgetting to wear the gloves, use the wire cutter to trim the sheets of wire to fit the inside of your frame. Tack down the edges with the staple gun and seal any rough edges with glue gun. Once your wire is set, then attach the fabric back and the ribbons with the staple gun. Now it’s time to grab your accessories and jewels and decorate to your heart’s content! The best part about this is that it’s not limited to just jewelry. Thanks to the ribbon you can add hair pins, clips, bands and more! Now that’s repurposing to the max! 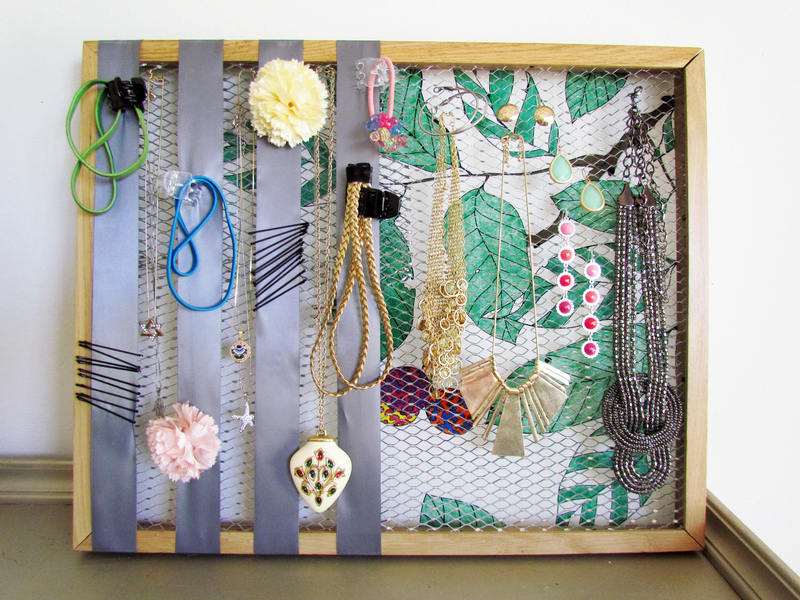 3 responses to Wrangle Your Accessories – Hen House Style! I love how you come up with these amazing re-purposing ideas! I have a request!! I have like a MILLION magazines… any ideas? Excited! I came up with a couple ideas when I was brainstorming. I look forward to seeing what you’ve come up with!